The type of IRA one chooses has major tax and estate planning implications. In a previous article, I looked at the advantages of Self-Directed IRAs, noting that they are best suited for risk-tolerant, exceptionally knowledgeable investors. By contrast, a strong argument can be made that creating a Roth IRA is a wise choice for everyone, regardless of income or investment goals. The primary IRS rule that distinguishes the two main IRA types can be summarized as: Pay me now or pay me later. For tax year 2018, anyone under the age of 70½ who has earned income may make contributions of up to $5,500 per year to a traditional IRA ($6,500 per year if the person is over 50). Depending on the account holder’s income and a few other factors, these contributions are often fully tax deductible. Later withdrawals from the account are taxed as ordinary income. The second major difference between Roth and traditional IRAs lies in the rules governing withdrawals, or distributions. Both types allow distributions beginning at age 59½, although with a Roth IRA, withdrawals made less than five years after the first contribution occurred lose their tax-free status. The real difference, however, is that with a traditional IRA annual distributions to the account owner are required beginning at age 70½. There are no required distributions with a Roth IRA. If an account owner doesn’t need the money, it can simply stay in the account and continue to build value indefinitely. Because taxation of a traditional IRA occurs at the back end when withdrawals are made, the account owner ultimately pays tax both on contributions to the account and on the investment returns generated by the account. By paying taxes at the front end when the contributions are made, Roth IRA holders enjoy 100% tax-free growth on their investment. In theory, at least, the account becomes tax exempt when it is worth the most. It is important to remember that taking annual distributions is required with a traditional IRA after age 70½, even if the account holder has no need for the money. With a Roth IRA, there are no mandatory distributions. If the account owner never needs the money in the account, a Roth IRA can be passed along to heirs, who can spread out their own tax-free withdrawals from the account over as many years as they choose. Unfortunately, high-income taxpayers will find that the door to direct creation of a Roth IRA is closed and locked. Individuals with an adjusted gross income (AGI) of $135,000 or more, and married couples filing jointly with an AGI of $199,000 or more, cannot make contributions to a Roth IRA for tax year 2018. However, it is still possible for these taxpayers to create a Roth IRA through IRA conversion, also known as the back-door method. Alternatively, the traditional IRA can be funded by transferring money from a 401K or company pension plan. This is known as a rollover. Rollovers are not subject to limits and do not count toward the annual contribution threshold of $5,500 or $6,500, so an entire 401K or pension fund can be rolled over in a single transaction. Bear in mind that if the taxpayer holds one or more traditional IRAs containing contributions made on both a pre-tax and an after-tax basis, the pro-rata rule applies. Basically, this rule states that one cannot segregate contributions made to a traditional IRA for the purpose of converting after-tax contributions into a Roth. For example, if 70% of contributions to the taxpayer’s existing IRAs were made on a pre-tax basis, then 70% of converted funds will be taxed, even if the taxpayer only converts a portion of the existing accounts equal to his or her past after-tax contributions. The primary risks associated with a Roth IRA are that future income, future investment values, and future tax rates and regulations can never be known with certainty. If component investments of a Roth IRA suddenly plummet in value, for example, front-end payment of taxes becomes a regrettable decision — tax was paid on money the account holder will never see. 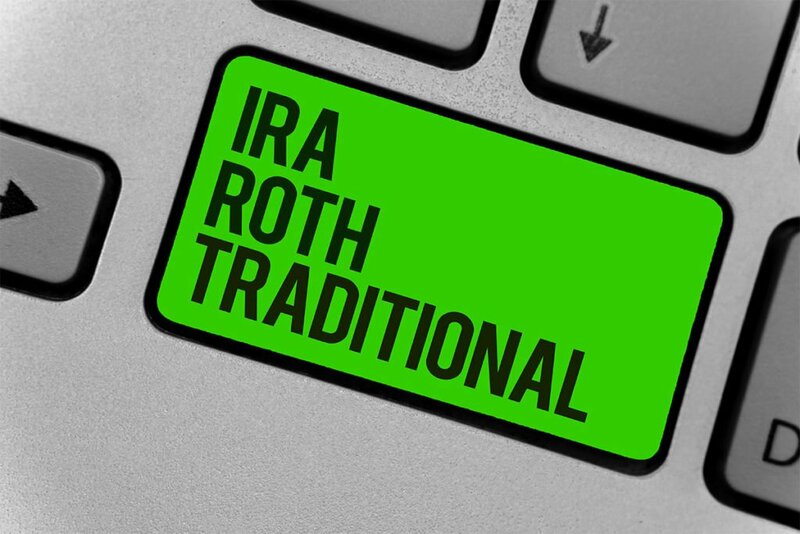 In the past, Roth IRA owners had access to an escape hatch known as recharacterization, which amounted to an IRA “undo” button. Account holders who had converted traditional IRAs to Roth IRAs could reverse the process by recharacterizing the Roth account as a traditional IRA. Various regulations and restrictions applied, of course, but there is no point in going into those now, because under the Tax Cuts and Job Act, recharacterization was outlawed as of October 15, 2018. Back-door conversion to a Roth IRA is now permanent and irreversible. As a result, opting to convert traditional IRA contributions to a Roth IRA is a much weightier decision than it used to be. Investments chosen for these Roth IRAs should be carefully scrutinized in order to ensure financial success. The tax and wealth management advantages of a Roth IRA far outweigh the risks, making the decision a ‘no-brainer’ for most people. Certainly, all investors who meet the income limits for contributing to a Roth should make it their default choice for a retirement account. For everyone whose income is above the limit, odds are still very strong that back-door conversion to a Roth IRA remains the best retirement account strategy. However, given that the door to Roth IRAs now only swings one direction, the decision to convert should be made after careful analysis of one’s long-term prospects, asset safety, and investment growth prospects.